Photoshop Touch just made the jump from tablet only to iPhone and Android smartphones. Many have been anxious for this day (almost a year since the tablet version shipped). Photoshop Touch is now available for $4.99 USD (compared to $9.99 USD for the tablet). Work on high-resolution images while maintaining highest quality. Supports images up to 12 megapixels with 3 layers. It looks like Adobe is all in on the mobile side. The tool is impressive with the ability to make selections, use layers, and even export layered files for use in Photoshop. The app doesn’t differ significantly from the tablet version, but the jump to both iPhone and Android smartphones just grew the audience in a major way. The only drawback is that the existing customers using it on a tablet need to but the app again (but it’s $5… so stop yelling). 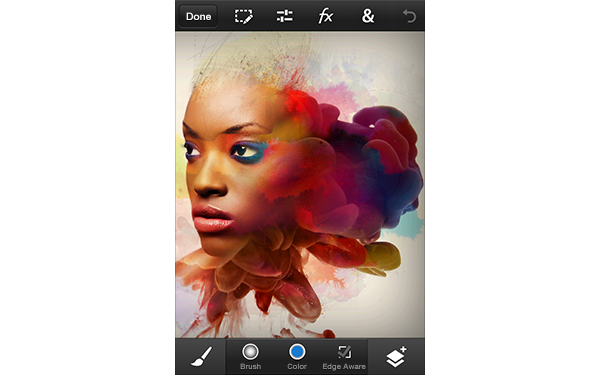 Photoshop Touch was originally released for Android in 2011 – iPad got it much later! DPR review wrote about it in Dec, 12. Clarified first line of article.. thanks. Yes, tablet version existed on both platforms. Phone version is what’s new. I remember Photoshop had iPhone app before, but it’s a very simple version. I was disappointed and have been waiting for the real app since then. It’s really exciting I can try this new app now! I found out that an increasing number of photographers/artists tends to shoot with their iPhones. What do you think about the future of this trend? Thank you. I think Phone photography is convenient, and in many situations works well. Want I want to see though is better cameras in phones and better software and Internet in cameras.